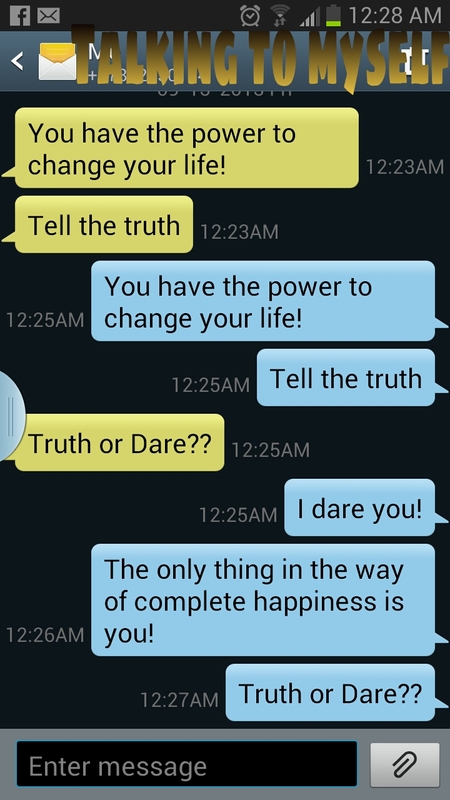 TRUTH OR DARE – Dancing in the rain! My friend Chris Thomas over at On the Light Side of Gamification posed some questions to me on my post Game called life. If you haven’t read the post check it out and you will see why he asked me these questions. I encourage everyone who reads this post to answer the same questions. Even if you are shy about posting the answers I think that they will really help you if you truly desire to be happy. I am a firm believer that everyone has obstacles in their lives but sometimes the biggest obstacle to our own happiness is the person we see when we look in the mirror. The happiest people in the world are those that build bridges and “get over it!” So take five minutes to truthfully answer the below questions, you may be surprised about what you learn about yourself. I am listening to Mozart piano Concerto No. 23 while I type this. The grace and lightness of the piano is helping to even out my late night 711 coffee high. Chris is an enthusiastic, engaging and conscientious young man. I am pleased whenever he visits Dancing In The Rain and leaves me imaginative comments. He has endured and overcome a lot in his young life and he is someone I admire. Chris has been very supportive of my blog so I was pleased that he posed these tough questions to his audience and to me directly. 1.What are my personal aims? My personal aim at the moment is to find a good balance in my life so that I give as much to myself as I do everyone else. Therefore I will be happier, less stressed and accomplish more of the things that are important to my me and my well-being! I would like to be more active, take care of our money better and finish something that I started years ago that is very dear to my heart. 2.What are things that I like to do? I love to spend quality time with my family, read and write and invest time in the relationships that bring me joy. 3.What are things that I don’t like to do? I do not like to put the laundry away, wash floors, pick up after my kids constantly and I don’t like to tire myself out getting stressed about these things. I also dislike driving in roundabouts (rotaries, traffic circles) which makes driving certain places a challenge because they intimidate me and I will avoid them whenever possible! 4.What am I good at? I am good at writing (I believe) I find being honest very freeing. I am also good at supporting people and things I care about and putting people at ease in stressful situations. 5.What am I bad at and do I want to change something about it? I am bad at keeping promises I make to myself due to my terrible time management and I am making efforts to change! I am also bad at hole punching which my former boss and friend likes to remind me. I have no desire to change this because I never desired to me a master hole puncher and every time she punches a hole in a piece of paper she will think of me fondly. 6.When do I feel happy? I feel happy most of the time but mostly when I have fulfilled my commitments and everyone around me is pleased and happy. 7.What is it then that makes me feel happy? Being present in my life, managing the details so that everything gets done and my family is satisfied and I am content. Spending time with family, friends and writing! 8.Is there any chance to trigger the reason for that happiness more often (e.g. by changing your workplace, join your working place community (or found it) or invest more time in a particular spare time activity)? There is definitely a chance for me to be happier more. I need to be accountable to myself, keeping promises I make to me, managing my time better so that I get to do all the things I want to do and saying no to things that I do not have the time to take on. Being productive makes me very happy but I often let my noisy brain slow me down. I often plan too many things at once resulting in me getting emotionally tired! 9.When do I wish to change something and why do I think this change is impossible instead of trying to go for the change? I don’t think anything is impossible. The word itself says “I’m Possible”, Audrey Hepburn Quote. As I said above I am my biggest roadblock. I need to hold myself accountable for making the necessary changes to make all the pieces of my life fit together like a completed puzzle. I have made some steps, the biggest one was quitting my job 15 months ago but there are other changes that I need to make. I am fully aware that nobody is responsible for my happiness but me! 10.When do I blame others and could I not do something about solving the problem myself if it is that important to me? I try not to blame others for my problems except if they are not contributing their share, therefore making my job more difficult. I have high expectations and I feel a responsibly towards things (for e.g. my volunteer work) I think this is a weakness for me because I sometimes bite off more than I should be comfortably chewing and inevitably my “time management” goes out the window. You sound like you have your head on straight, my friend. I think accountability is important. Too many people blame others for their unhappiness and focus on negatives while beauty and joy is all around them. Be happy! I do think of you every time I hole punch. And staple. And walk down stairs with a cup of coffee. Your honesty is always very refreshing. You missed one thing you are good at (probably because you are also very good at being modest, which I mean sincerely), you are good at making people be happy to be themselves when they are around you. You inspire people to be confident and comfortable with themselves, which is probably most true with your two beautiful daughters. Thanks for dropping by my blog and playing along to answer the questions. Did you discover anything new? They are pretty interesting questions and make you think. I love Chris’s site. Always interesting. I don’t know if you want to give it a try but a good friend of mine had serious time management problems and tried HabitRPG (https://habitrpg.com/static/front). You might want to check out, if you decide to try it let me know please because I’m still looking for people who want to share their experience/success story with me. Only the best wishes to you and I appreciate your way of being very much! P.S. : Of sure you can try HabitRPG, too, Linda and thank you again for answering these questions. P.S. 2: I thought of posting your answers along with my answers to draw a sketch of happiness though it it very dark and foggy outside right now. Thanks Chris. I will definitely take a look at this and keep you posted. I enjoyed the questions and though none of my answers were a surprise to me they remind me to be accountable and to keep choosing happiness. I am glad the Mozart piece brought you a smile. Have a wonderful day. Have a great day and please let me know whenever I can do something for you, my friend.